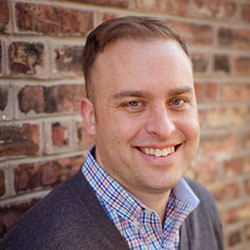 Joshua Lance is a Certified Public Accountant (CPA) with the State of Illinois, and a Chartered Global Management Accountant (CGMA) with experience helping startups grow and develop through customized, value-added accounting, tax prep and coaching services. Lance currently works as the managing director of Joshua Lance CPA, LLC, a tech-focused boutique accounting firm specializing in outsourced accounting and CFO services to small businesses and entrepreneurs using cloud-based solutions. His previous work includes more than a decade of accounting and auditing experience at top-10 national public accounting firms, including Diversified Financial Management Corp., N Pritzker Capital Management LLC, and Crowe Horwath LLP. His more recent work includes managing cash-flow and investments for high-net-worth individuals.